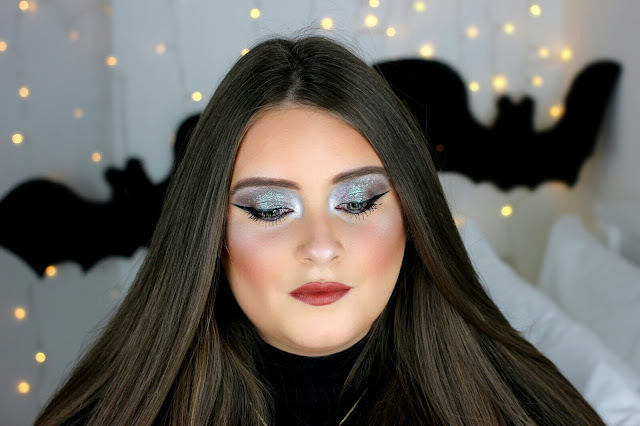 Halloween is very soon, so I have partnered with TOPSHOP Beauty to bring you a very quick and easy last minute glam Halloween look. This look is inspire by Kate Moss in 1997 (see photo here) however, I've put a little spin on it and made it more galactic-like. 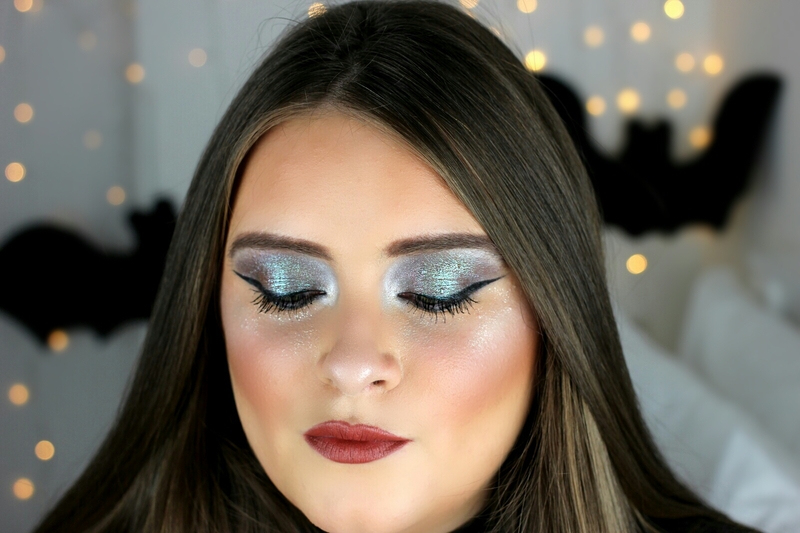 There is lots of shimmer and sparkle going on in this look and Topshop have everything you need to achieve it. Topshop have released many new makeup products over the past few months including mono eye shadows which have incredible pigmentation and blendibilty (is that even a word), and just require your fingers to apply. 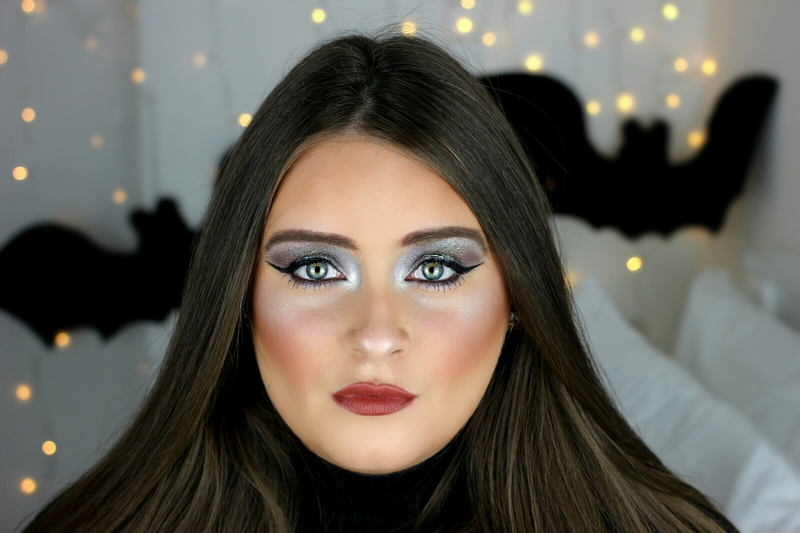 I have put together a step by step below on how to create this eye look. Step 1. Apply in strokes Topshop's Kajal Kohl Liner in 'Lucky 13' (here) over the lid and blend with finger. Step 2. Place eyeshadow mono 'Spaceport' (here) on top to add a little purple shimmer. Step 3. Apply Chameleon Glow (here) in 'Changeling' to the centre of the lids and blend upwards for a green glow (this is my favourite). Step 5. Apply a few layers of the Topshop's Party Proof Intense Mascara (here) and tap some Glitter Liner in 'Wisp' (here) below your eyes to pull the look together. 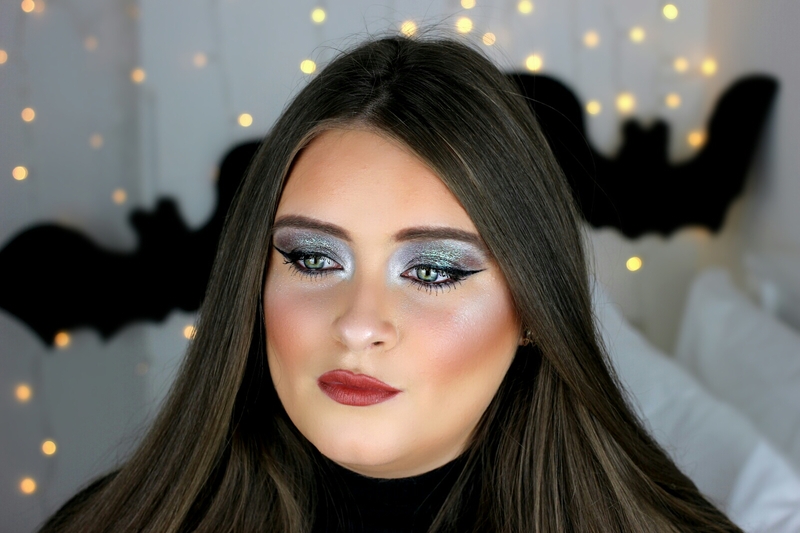 Everything I used for this look (face, lips and eyes) is linked below for you as well as in the description box of my YouTube video tutorial. I hope you like and enjoy this Topshop Halloween look. Thank you to TOPSHOP Beauty for sponsoring this post.